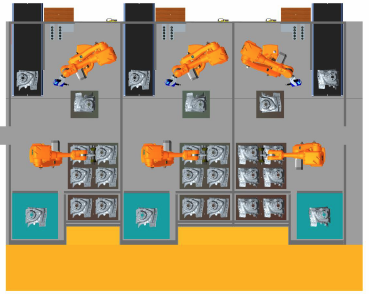 Would you like to increase the efficiency and productivity of your production? Do you have a high waste rate in your production? Are you thinking about installing a robot to your production to lower your costs? Independent consultation and evaluation in your facility to discuss the possibilities of an industrial robot for grinding and polishing applications. Price quotes include a 3-D model. Selection and testing of all components for optimum grinding or polishing results. Complete engineering services which include design, production, assembly, and integration of your production process. Should you be interested in changing from a manual fabrication to an automatic, robotic fabrication, the button below will direct you to an application questionnaire. Once complete, you will be contacted by one of our qualified applications engineers. Watch the DEPRAG Robotic Grinding Unit in Action!